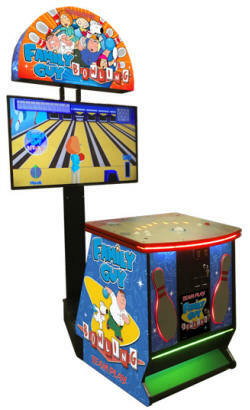 Everyone�s favorite TV family goes bowling in the latest hit arcade game from Team Play Inc.
Family Guy Bowling has the most options we have ever offered to make it versatile for any type of location. From FEC�s to street locations, this bowler has it all! 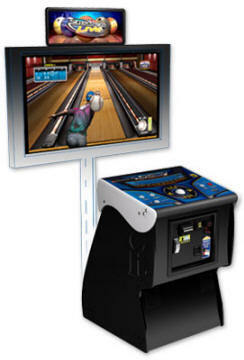 Silver Strike LIVE hit the streets in February of 2010 debuting groundbreaking features that connected players together more than ever. 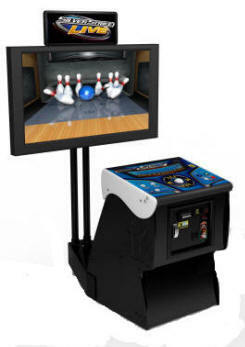 Customizable bowling equipment and bowlers as well as the addition of Prize Play brought the world's most famous virtual bowling franchise to another level. With Silver Strike LIVE – Every. Game. Counts. Whether you're playing for cash, bragging rights or just to keep track of your stats, Silver Strike Bowling LIVE will satisfy your player's every competitive urge!